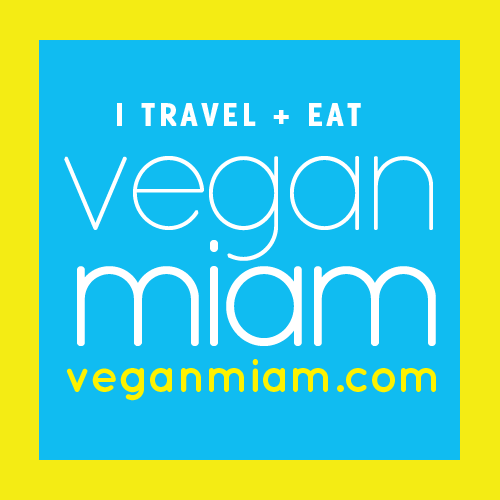 I’m so excited to tell you about Will Travel For Vegan Food’s first shoe-y collaboration! I love shoes. And they help us get around, and… well… travel. ;) Even though I significantly scaled down on the footwear for my road trip (chucks all day, everyday …woo!) I sometimes find myself scrolling through pictures of beautiful shoes, or meandering around vegan shoe stores to get my ogle on. The variety of cruelty-free brands continues to impress me and I thought it would be fun to work with some of my favorites for this special deal. 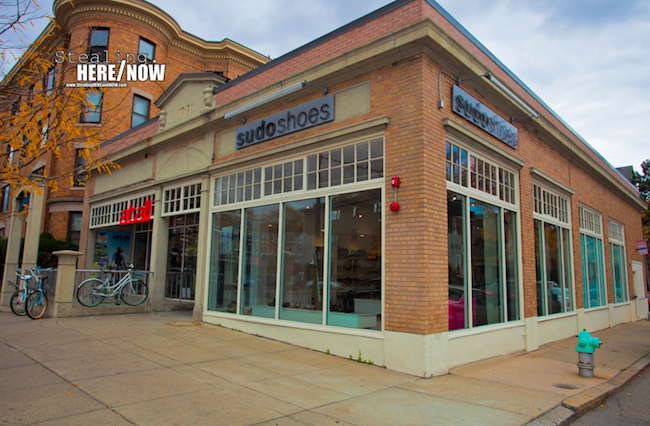 I lived in Boston for the four years prior to my road trip and I had the pleasure of watching Sudo Shoes open, and grow into an awesome local business. I’ve been working with Amy (that blonde hottie who you’ve probably seen there before) on this collaboration. In fact, those of you who attended the Boston Veg Fest this year probably picked up a couple of the WTFVF bumper stickers from the Sudo booth, thanks to Amy. Scott and Amy work very hard to bring Boston-area residents and guests the highest quality, cruelty-free footwear possible. Please support their efforts, and their awesome small business, by shopping at Sudo Shoes for your footwear, purse, and accessory needs! PS – check out our video interview with Sudo, from last year! With every purchase you make at Sudo – for the month of January, or until they run out – you’ll receive a complimentary Will Travel For Vegan Food bumper sticker. I’ve been fortunate to meet a few of the crew at events over the last few years, and have enjoyed emailing with Remy about fun collaborations, like the 2010 vegan fashion show in Albany, NY and of course, this one too! Let’s support this ethically-driven company by purchasing our clothing and accessory needs at their store! With every purchase you make at Herbivore – for the month of January, or until they run out – you’ll receive a complimentary Will Travel For Vegan Food bumper sticker. With a focus on US-based, ethically manufactured, wood-soled footwear, Mohop makes all of their own shoes right in their Chicago workshop, from scratch! Their one-of-a-kind, custom-fit sandals can easily be created by simply lacing any ribbon or fabric tie in Mohop’s patented sole. Brilliant! 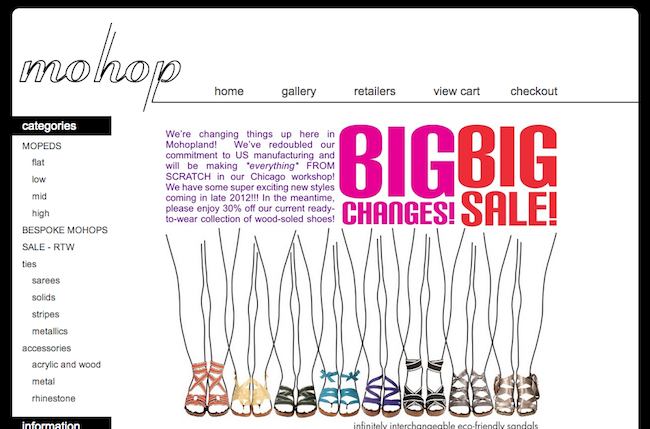 Click here (or on the image below) to start shopping! With every purchase you make at Mohop – for the month of January, or until they run out – you’ll receive a complimentary Will Travel For Vegan Food bumper sticker. 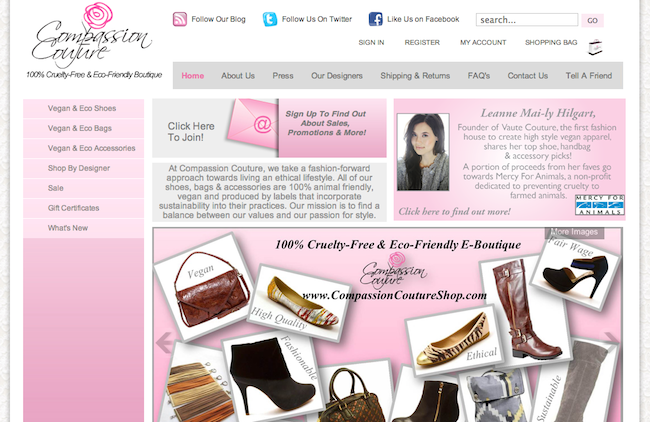 Featuring nearly every brand of cruelty-free footwear that you can imagine, shop Compassionate Couture’s fun collection today! 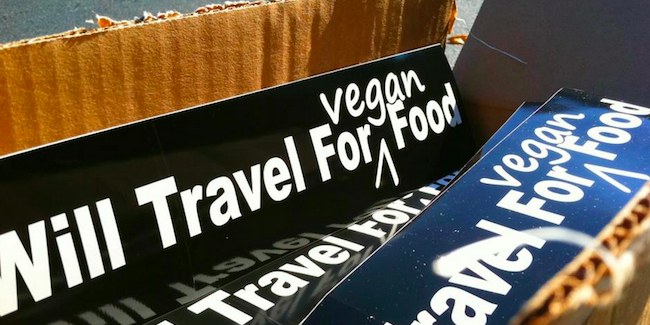 With every purchase you make at Compassionate Couture – for the month of January, or until they run out – you’ll receive a complimentary Will Travel For Vegan Food bumper sticker. 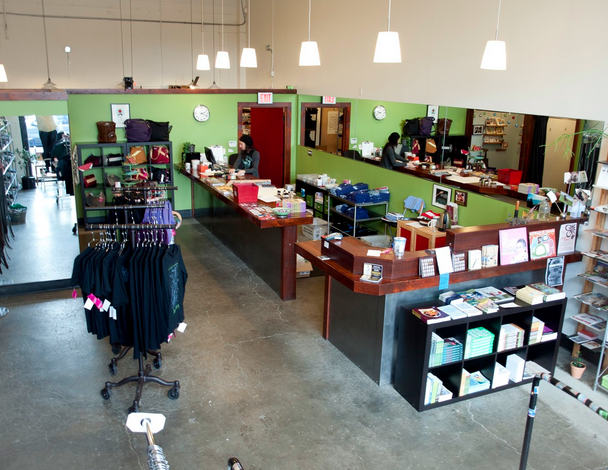 Both in-store and online shopping options, Herbivore doesn’t quit! ;) Along with the varied vegan brands they carry, they also specialize in creating their own t-shirt and poster designs, including my personal favorite, “I’m vegan & I <3 you” tee! 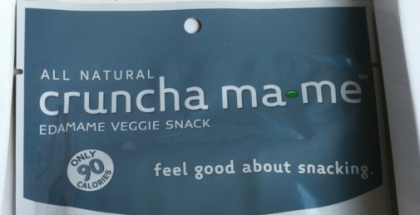 Click here to start stopping. I’ve got several exciting collabs coming up in the new year so stay tuned for more! Ping (and *hint*hint*): The Vegan Zombie, Strong Hearts Cafe, The Streets I Know, Design Specimen, Salem Food Tours, Happy Cat Prints, Gallery Burguieres, Pansy Maiden. There are so many awesome Vegan fashion shoes these days. Some decent technical shoes (hiking and other activities) would be nice but maybe one day soon! As far as I know most standard running shoes are vegan though.